Datatag has long been known as the security brand of choice for Britain’s motorcyclists and now they are offering protection for loved ones too. 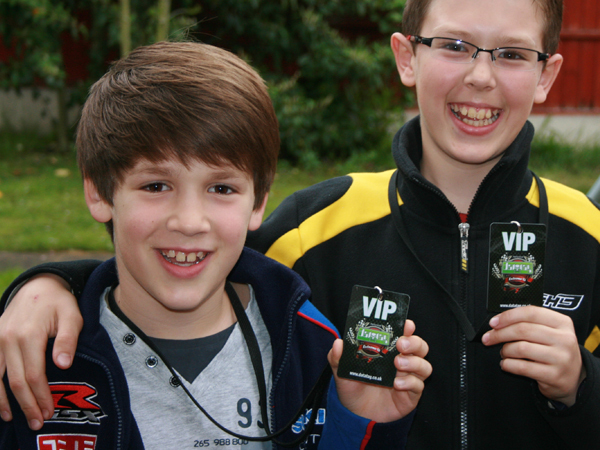 At BSB rounds race goers can collect a special Datatag VIP pass for their children which will provide some peace of mind should they become separated on the day. The Datatag VIP pass comes in two parts; a main Pass and a snap off ‘key’ fob pass, each contains the same unique ID number to ensure verification. On the reverse of the main card, which is provided with a safe lanyard, parents can write their contact details down before detaching the key fob card and placing around the neck of their children. The key fob card with matching number can then be easily attached to the parents keys or kept within a wallet or a purse. Should they find themselves separated, young VIPs are told to find a member of BSB staff who have been briefed to make contact with the parents via the details on the card and verify their identity by matching the unique numbers on the two cards when reuniting the family. Kevin Howells, Managing Director of Datatag said "We are seeing an increasing number of young BSB fans attending each round and as a father myself I came up with this idea as a simple but effective solution to provide parents a little peace of mind so they can concentrate on enjoying the races. We’re pleased the Race organisers are supporting us and are more than happy to provide these special VIP passes completely free to anyone who asks." He added "We’re even thinking of creating an adult version for when wife's or girlfriends need to collect and identify their partners after a night out with the lads!" 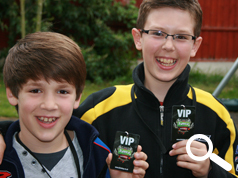 Passes, for children only, are available at all BSB rounds – simply visit the datatag stand and collect one for each child you have with you on the day.